To access vision services, you first need to understand what kind of Medicare and/or Medicaid plan you have and exactly what types of vision care are associated with each particular plan. Medicare Part A (Hospital Insurance). Medicare Part A helps pay the costs incurred while in a hospital or rehabilitation facility. It also covers costs associated with home health care and hospice care. 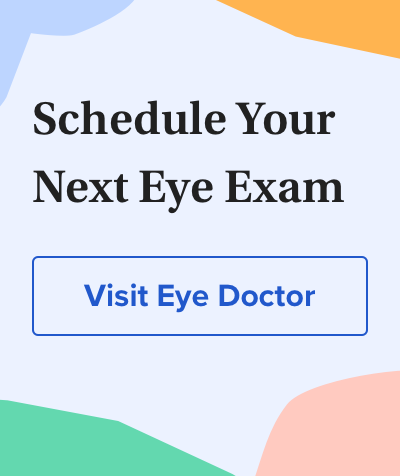 Medical problems of the eye that require hospital emergency room attention are covered, but routine eye exams are not covered. Medicare Part B (Medical Insurance). Medicare Part B covers part of the costs of doctor visits as well as certain medical services not included in Part A, such as lab tests and medical equipment. Visits to an eye doctor that are related to eye diseases often are covered, but routine eye exams are not covered. Medicare Part D (Prescription Drug Coverage). Medicare Part D helps pay the costs of prescription drugs, including medicines for eye diseases such as glaucoma. Another way to obtain Medicare benefits is to enroll in a Medicare Advantage Plan. These plans (also called Medicare Part C) are health plans run by Medicare-approved private insurance companies that combine the benefits of Medicare Parts A and B, usually along with additional benefits such as Medicare Prescription Drug Coverage (Part D). Medicare Part B provides a number of eye care and vision benefits. Keep in mind that there are premiums and deductibles associated with Medicare Part B. The standard premium for Medicare Part B in 2017 is $134 per month. Your monthly premium may be higher depending on your income, but most people who receive Social Security benefits will pay less than this amount ($109 per month, on average). The annual deductible for Medicare Part B in 2017 is $183. After you spend this amount, you typically pay 20 percent of the Medicare-approved amount for most doctor services, outpatient treatments and durable medical equipment. Cataract surgery.Medicare covers many of the costs associated with cataract surgery, including the cost of a standard intraocular lens (IOL) implant. If you choose a premium intraocular lens, such as an accommodating IOL or a multifocal IOL to reduce your need for reading glasses after surgery, you must pay the additional cost of the premium IOL (above the cost of a standard IOL) out-of-pocket. Eyewear after cataract surgery. Medicare helps pay for one pair of eyeglasses or contact lenses after cataract surgery. Only standard eyeglass frames are covered. Glaucoma screening. Medicare helps pay the cost of an annual glaucoma screening for individuals at high risk for glaucoma, including people with diabetes or a family history of glaucoma and African-Americans who are age 50 or older. Glaucoma screening consists of a comprehensive eye exam, including dilation and intraocular pressure (IOP) measurement. Ocular prostheses. Medicare helps pay the costs associated with replacement and maintenance of an artificial eye. To expand coverage beyond what is provided by Medicare Parts A and B, eligible candidates can purchase a Medicare Supplement Insurance policy (also called a Medigap policy). A Medigap policy is health insurance sold by private insurance companies to supplement ("fill gaps") in the coverage provided by original Medicare (Parts A and B). Medigap policies often cover your share of the costs of Medicare-covered services, including coinsurance, co-payments and deductibles. Some Medicare Supplement policies also cover certain benefits that original Medicare doesn't cover, including routine eye exams, eyeglasses and contact lenses. Medigap policies are intended to supplement Medicare Parts A and B coverage only. Insurance companies generally cannot sell you a Medigap policy if you have a Medicare Advantage Plan (Part C) or are covered by Medicaid.